Learn to count with Wombi! Learn to count with Wombi is a fun and inspirational way to introduce your children to numbers and counting. A pedagogic and playful game of counting fishes in the ocean gives the child a good opportunity to learn their first numbers, whilst having fun! 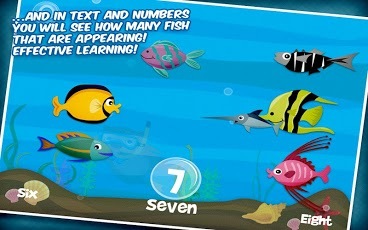 - A clear introduction to the numbers 1-10, where you can add or subtract fishes underwater while seeing, both in number and text, how many they are. 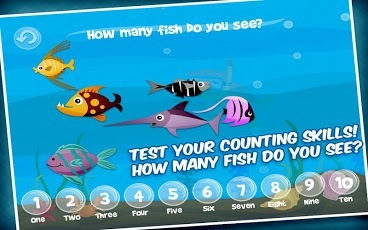 - A quiz, where your child answers how many fishes he or she can see on the screen. Challenging, fun and educational! - More languages. When you’ve learnt 1-10 in English, you can move on to other languages. 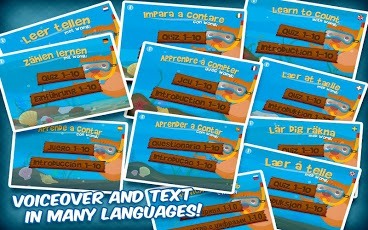 - Languages: English, German, French, Spanish, Dutch, Swedish, Norweigan, Danish, Russian, Portugese and Italian. - A simple and obvious interface makes the app easy for everyone to use. 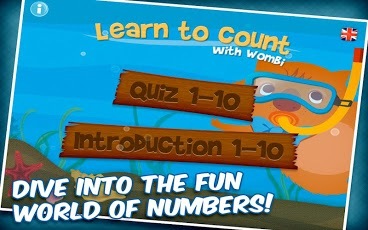 Learn to count with Wombi gives your child a head start in understanding numbers and learning to count! 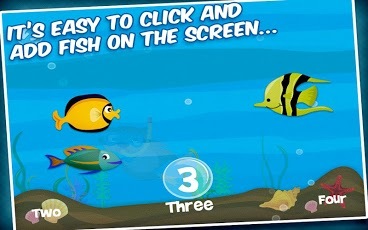 Wombi creates fun and educational apps for kids in all ages. Check all our apps on www.wombiapps.com!